The live streaming of Tunisia vs Senegal (TUN v SEN) AFCON 2017 tournament is here. 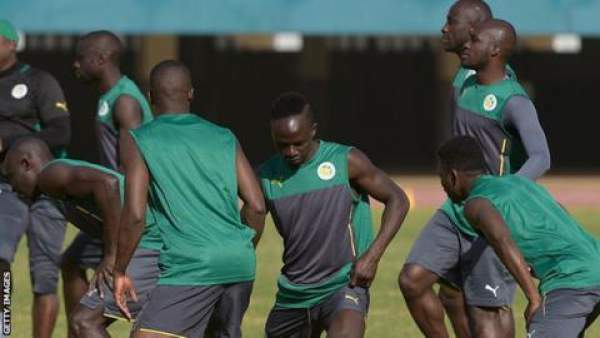 You can watch the Senegal v Tunisia live score of African Cup of Nations competition here for free. It is the third match of the series to be played at Franceville today. Both the teams are placed in Group B alongside Algeria and Zimbabwe who match took place earlier today. Alion Cisse has the responsibility of managing the Lions of Teranga in Gabon. For this tournament, his side has a number of quality players including Liverpool forward Sadio Mane. Moreover, they have Napolic defender Kalidon Koulibaly. During last summer, Chelsea manager Antonio Conte tried to lure him to his side. Apart from the duo, the team includes West Ham United midfielder Cheikhou Kouyate, Idrissa Gana Gueye of Everton, and Newcastle United’s Mohamed Diame. All the above players make Senegal a very strong team and better than the opponent. It looks comfortable for Senegal to proceed in the next round of the competition with Algeria from the Group B. Both the teams are favorites to reach the AFCON quarter-finals. However, Tunisia has only Wahbi Khazri of Sunderland as the featured player for them in the 2017 African Cup of Nations tournament. Let’s see if the Black Cats star will be able to inspire the side of Henryk Kasperczak to the next stage of the game. If Tunisia gets to be victorious, then they will make into the last eight of the Afcon. TUN vs SEN is to start at 7 pm GMT/8pm local time. The 2017 African Cup of Nations will be telecast on Eurosport UK in the United Kingdom. Live stream (Tunisia vs Senegal) AFCON 2017 matches will be available on Eurosport UK Player for mobile, tablet and desktop users. SENEGAL all the best in AFCON 2017 we are with you in your support . We all saw what happened in Afcon 2015, we were very close but unlucky to win, now we have to work on the psychological buildup of the team.